Properties in Russell County average 4.8 out of 5 stars. Private Catch And Release Lake--Boat Rental Included! Close to Lake Cumberland! Property 1: Private Catch And Release Lake--Boat Rental Included! Close to Lake Cumberland! Serene & Quiet Russell Springs Log Cabin! Property 2: Serene & Quiet Russell Springs Log Cabin! Private Catch & Release Lake - Boat Rental Included! Close To Lake Cumberland! 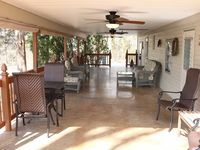 Property 3: Private Catch & Release Lake - Boat Rental Included! Close To Lake Cumberland! Private Catch & Release Lake—Boat Rental Included! Close to Lake Cumberland! Property 5: Private Catch & Release Lake—Boat Rental Included! Close to Lake Cumberland! Property 6: Cabin on the Cumberland River, 8 miles from Wolf Creek Dam. Boat ramp near by. Visit a Piece of Paradise! Property 8: Visit a Piece of Paradise! Rural rustic log cabin at Lake Cumberland. Property 9: Rural rustic log cabin at Lake Cumberland. Property 10: Private Catch And Release Lake--Boat Rental Included! Close to Lake Cumberland! It is a cabin house. Near in the lake where you can hike, walk, or fishing . Property 15: It is a cabin house. Near in the lake where you can hike, walk, or fishing . Adorable Cabin In Beautiful Wooded Surroundings! Property 17: Adorable Cabin In Beautiful Wooded Surroundings! Lake Front Home with Community Boat Ramp.Close to marinas and town yet private. Property 18: Lake Front Home with Community Boat Ramp.Close to marinas and town yet private. This charming cozy cottage has a private hot tub, deck for fishing. Property 19: This charming cozy cottage has a private hot tub, deck for fishing. Cozy Lakefront Cabin - Boat launch & Stunning View of Lake Cumberland! Property 20: Cozy Lakefront Cabin - Boat launch & Stunning View of Lake Cumberland! FEATURED in USA TODAY! Charming, Cozy Cottage...gives you that AHHH feeling! Property 21: FEATURED in USA TODAY! Charming, Cozy Cottage...gives you that AHHH feeling! 'Rustic Luxury' Lakefront Cabin In Beautiful Wooded Surroundings! Property 22: 'Rustic Luxury' Lakefront Cabin In Beautiful Wooded Surroundings! 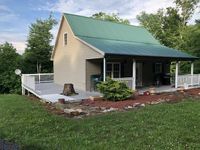 lake cumberland cabin with amenities,low rate, 1 minute to ramp lake veiw. Property 25: lake cumberland cabin with amenities,low rate, 1 minute to ramp lake veiw. Cozy Monticello Cabin with Lake Views! Property 26: Cozy Monticello Cabin with Lake Views! Clean, functional cabin with a beautiful view. Very relaxing street with plenty of space. Rustic wood interior with plenty of sleeping space. This quiet cabin borders on woods, so you'll have a chance to see many animals. We saw several wild turkey and deer the first morning and otters down at the lakefront.